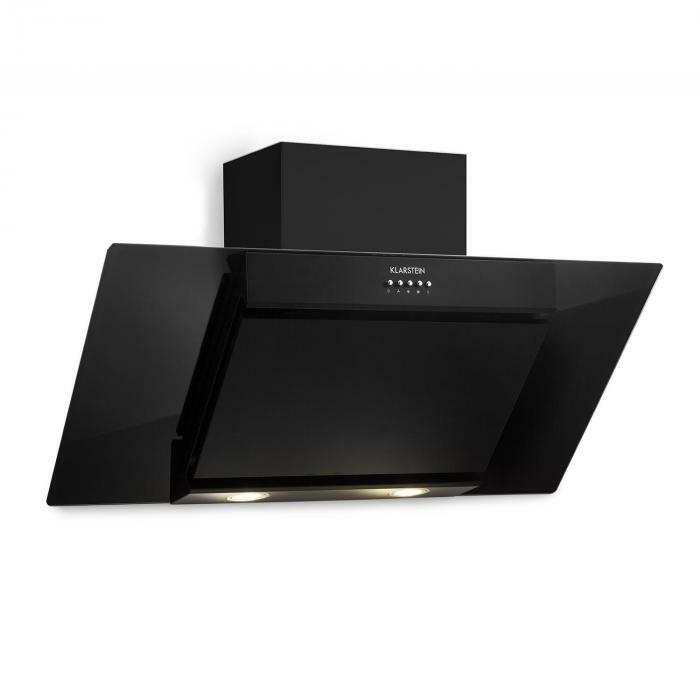 Elegant extractor hood with energy efficiency class B, three output levels and up to 640 m³/h of air extraction. 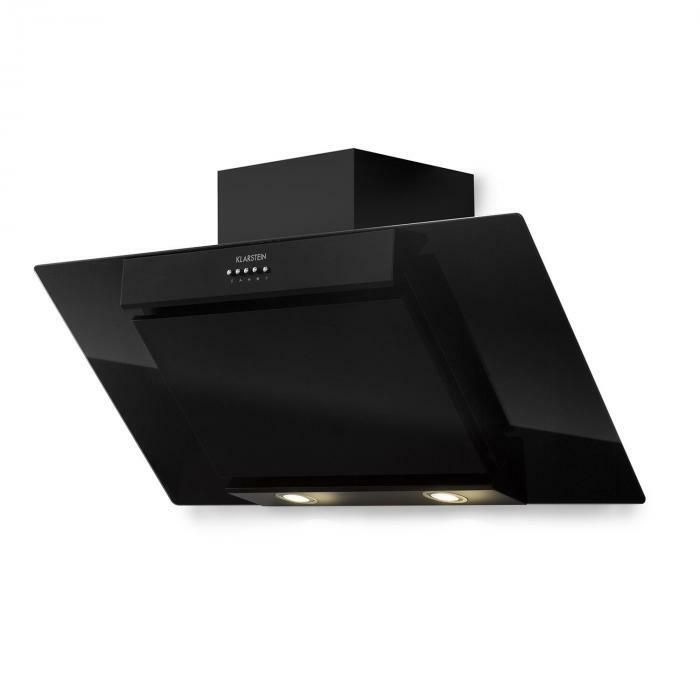 90 cm wide front with a luxurious black safety glass, and a foldable black lacquered 304 stainless steel trim. 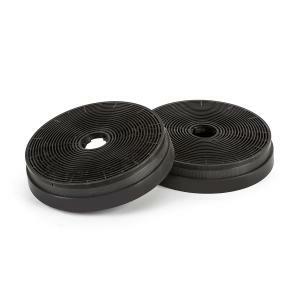 210 W motor power: Ideal for medium to large kitchen areas with the possibility to convert to air circulation mode. 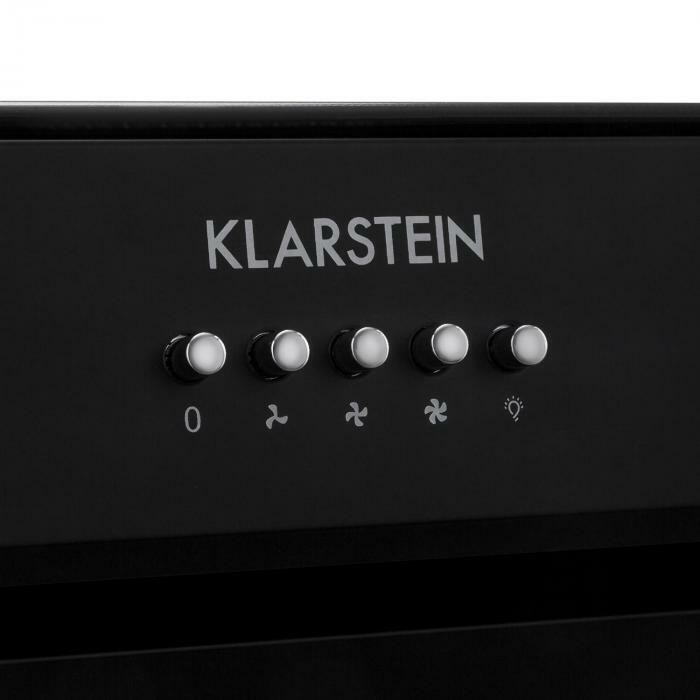 Best air in the kitchen: The Klarstein Zola 90 extractor hood gives kitchens a noble finish and sweeps steam and dust away while cooking. 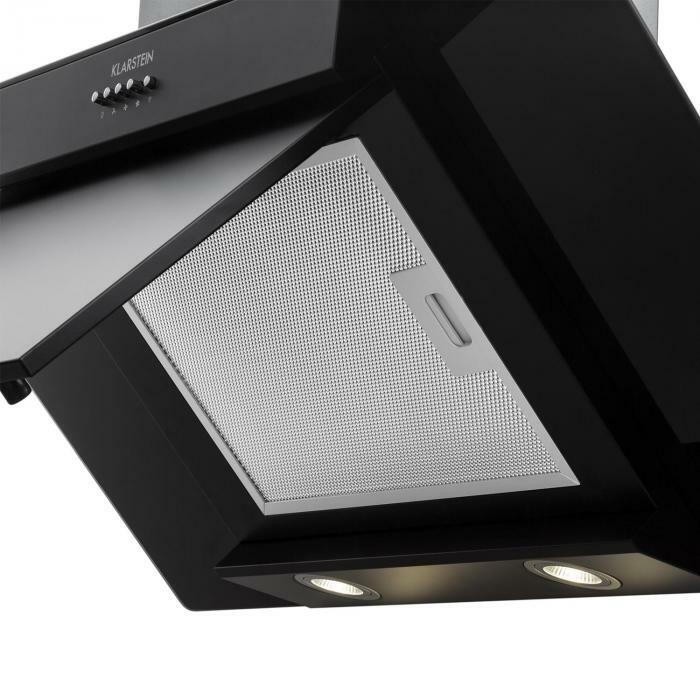 The Klarstein Zola 90 extractor hood with a 210 W motor power ensures that there is no steam or smoke in medium to large kitchens. Its three power levels extracts up to 640 m³ of air per hour, allowing you to tailor its operation to your cooking. 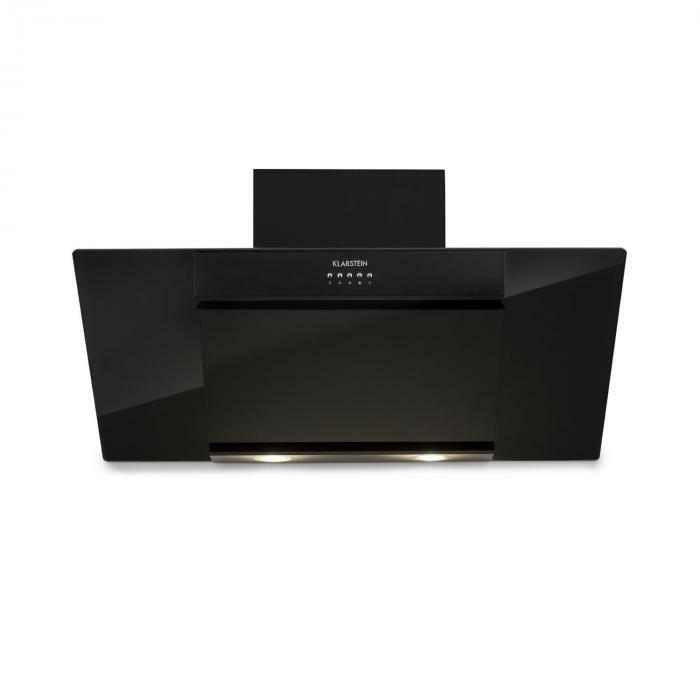 Particularly practical is the upwardly aspiring construction of the 90 cm-wide hood, which gives your head the necessary freedom of movement when cooking. 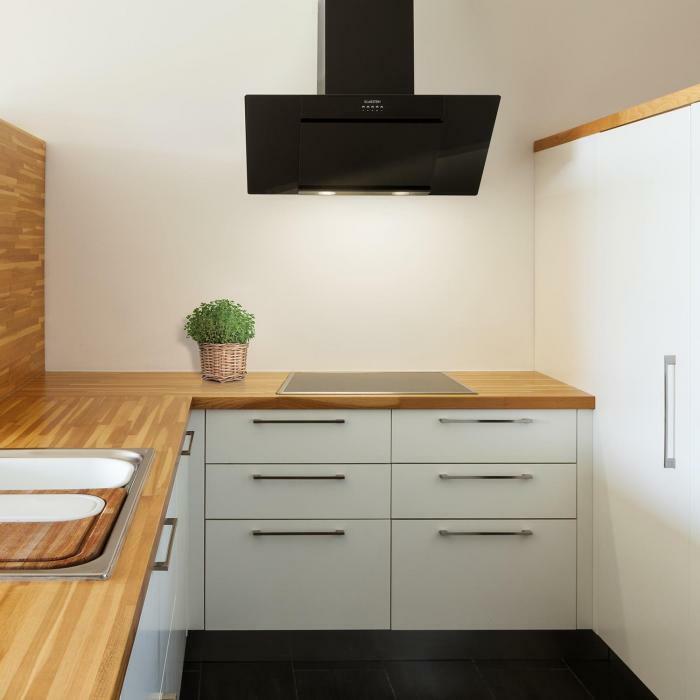 The extractor hood needs little space in terms of depth. Ventilation and lighting are controlled via the front-side control section. A Quicktimer lets the device run for 5 minutes and then turns it off. The hood is controlled easily via five buttons. 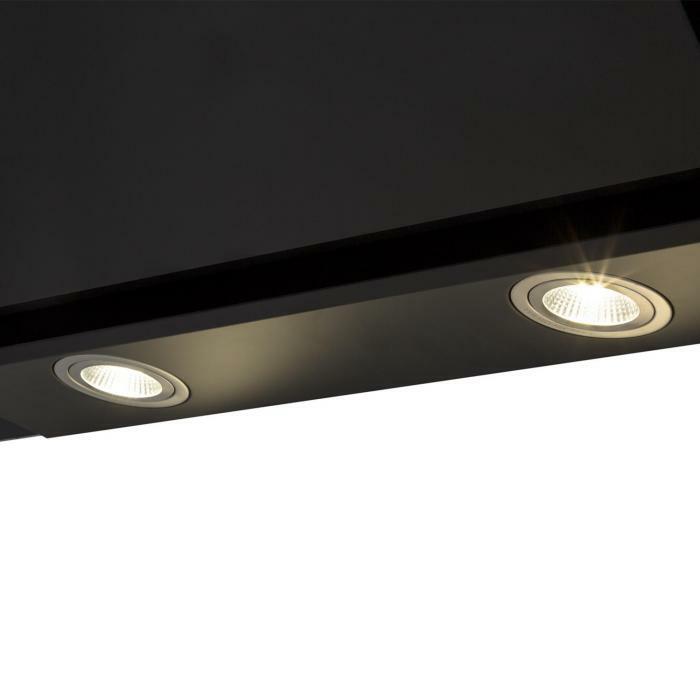 A switchable light with 2 x 1.5 W LED lamps ensures good visibility on the stovetop. 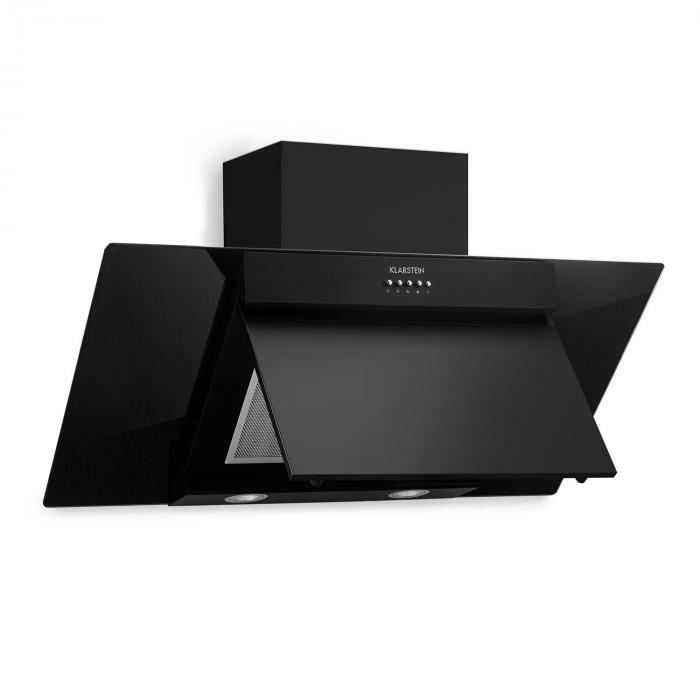 In addition to the strong performance data, the Klarstein Zola 90 wall-mounted extractor hood proves to be a luxurious part of the kitchen: The black-lacquered 304 stainless steel body gives it a modern look, complemented by side elements made of black safety glass and a 2-piece black covering of the flue. It is simply luxury in glass and stainless steel. 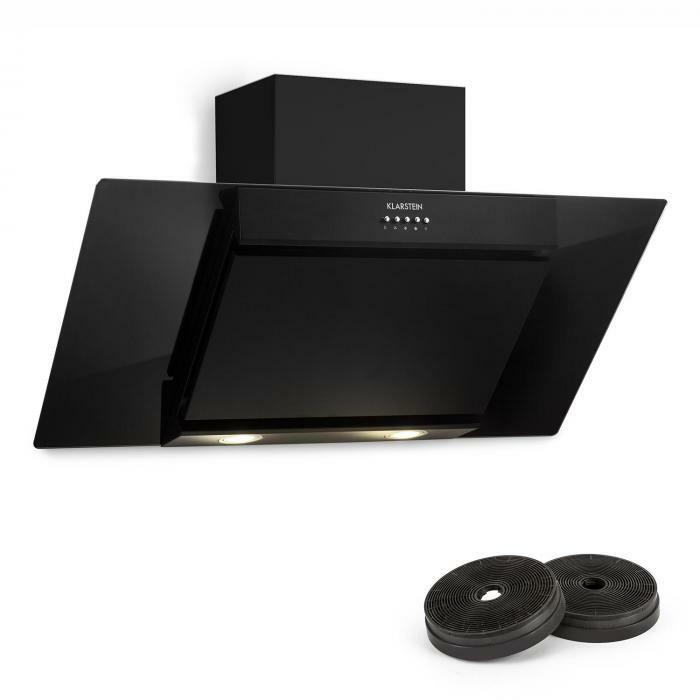 The extractor hood can be converted to air circulation operation with the help of an activated carbon filter (article 10030727).